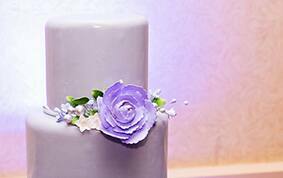 Today's Disneyland cake is the perfect complement to Melody and Jonathan's purple color palette. 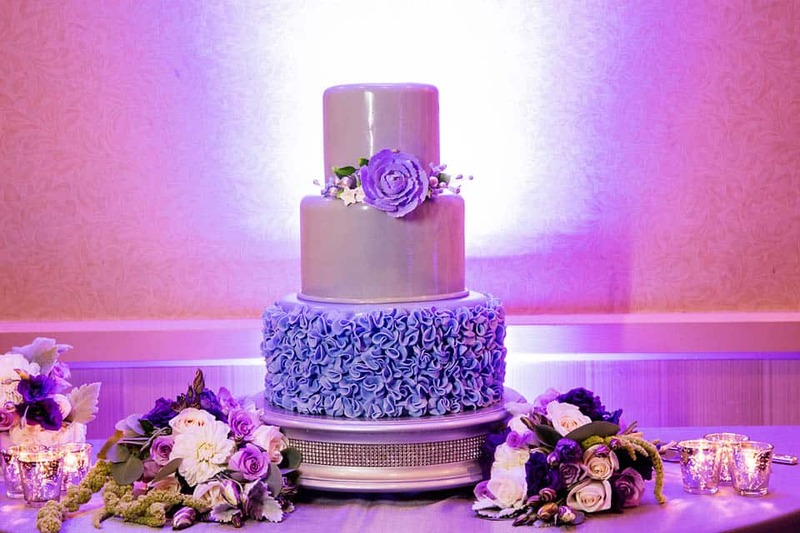 The lavender tones and intricate details look simply delicious! 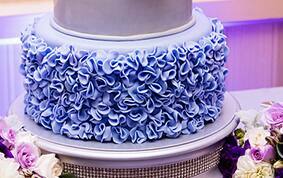 Contrast between the shimmering fondant top and the ruffled base instantly draw your eye, and the floral additions make it even more captivating. It's almost too pretty to eat...almost.